Dr Michael Kerkloh, President and Chief Executive Officer of Munich Airport, reveals the exciting expansion plans afoot for Germany’s second busiest airport. For Munich Airport, the construction of the third runway will be a defining step; setting the stage for the airport’s development over the coming decades. When Munich Airport celebrates its 25th birthday on 17 May 2017, thousands of visitors will crowd to a special cordoned-off area of the airport apron for an up-close look at historical and modern aircraft. Other events planned to mark the anniversary include a music festival, a big party for the airport staff and much more. There are not many new European airports that have achieved similar success within such a short period of time, so this anniversary is definitely a cause for celebration. Thanks to above-average traffic growth year after year, Bavaria’s gateway to the world rapidly developed from a mid-sized international airport into one of Europe’s leading air transportation hubs. Throughout May 2017, approximately 700 million passengers will have arrived, departed or changed planes at the new location to the north-east of the Bavarian capital. Annual passenger traffic has more than tripled since Munich Airport’s opening year, and the total number of take-off s and landings have doubled to around 400,000 per year. 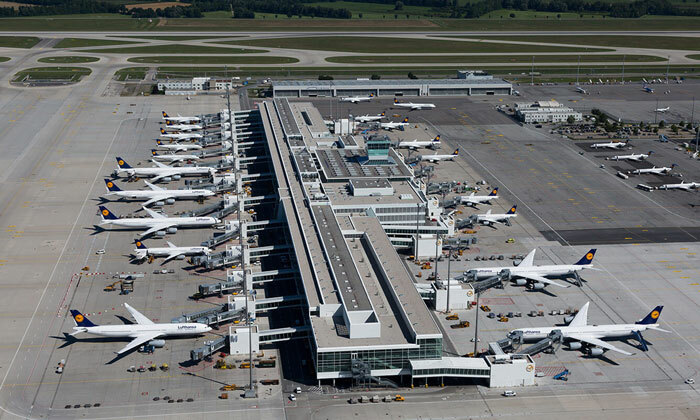 Over the past 25 years, Munich Airport has handled around 8.5 million flights and by the time of the airport’s anniversary celebration, total airfreight tonnage will have reached about 4.6 million tonnes. Over the same period, the airport has developed into one of Bavaria’s largest employers. In 1992 a total of approximately 12,000 employees worked to ensure reliable and efficient airport operations. Since then that number has nearly tripled to a workforce of almost 35,000 people employed by the airport operating company, the public authorities, airlines and other companies operating on the airport campus. As Europe’s first five-star airport, admired worldwide for its excellent service and overall passenger experience, Munich Airport is firmly established as an important national asset. The dynamic robust growth that has driven the airport’s development since its earliest days is manifested in the steady above-average increase in passenger numbers. In addition, the many expansion projects – from the two airport hotels and the Munich Airport Centre (MAC) to Terminal 2 and the satellite terminal, which opened in 2016 – bear witness to the rapid transformation from a ‘city airport’ to an ‘airport city’. A big factor determining whether Munich Airport can continue to write its impressive success story over the next 25 years will be the decision on its next expansion project: the urgently needed third runway. The airport is currently operating at or close to full capacity in peak periods. During the six big waves of arrivals and departures each day, it is booked solid for eight to 10 hours and has to cope with bottlenecks every day. 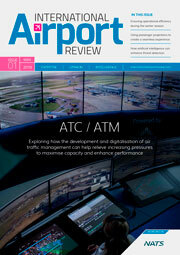 In recent years, the capacity limitations of the existing runway have certainly dented traffic growth. In order for Munich Airport to maintain its success as an international hub amid intensifying competition, a third runway is urgently needed. Attractive, direct connections to places all over the world will otherwise be at risk over the medium-term, and in the long-term, without the expansion and the development prospects that a third runway will bring, today’s hub traffic will be in jeopardy. The long-standing battle over the third runway is half as old as the airport itself – the operating company having begun planning activities for the project back in 2005. The long, drawn-out approval process, with intensive involvement of the general public, ended in July 2011 with a planning permission ruling by the District Government of Upper Bavaria that gave the airport the green light to build the third runway. The more than 2,800-page ruling covered every area to be considered in the course of realising this major infrastructure project, including over 1,000 pages of environmental and conservation aspects. However, this detailed ruling from the authorities, which also stipulated numerous compensatory measures, did not fire the starting gun to break ground for this project. Instead the opponents of airport expansion filed a lawsuit against the approval authority’s ruling, marking the start of the legal disputes over the expansion project. In February 2014 – after 46 days of hearings in proceedings that lasted almost a full year – the Bavarian Administrative Court in Munich dismissed all 17 lawsuits filed by private individuals and neighbouring communities against the planning permission ruling. Eighteen months later, the opponents failed in their attempt to overturn a court decision to reject an appeal despite pursuing the action all the way to the Federal Administrative Court in Leipzig. With that decision, the judges in Leipzig, as the final court of appeal, removed the final legal obstacles to the planned expansion of the airport. Since then, political pressure has been stepped up. Many supporters want the project construction to begin now that the long approval process is over. More than 200 companies and associations from all over Bavaria have stepped forward in recent months to back the project and are keen to see steps being taken to get the project moving without further delay. Alongside numerous DAX companies, these promoters include major mid-sized corporations and established Munich brands that rely on optimal connections to global air routes. Deutsche Bahn, Germany’s railway, has also joined the business alliance supporting the airport expansion. The reason a decision has yet to be finalised, with the project still up in the air despite a positive ruling by the highest court, is the referendum held in June 2012 at the instigation of runway opponents in Munich. With weak turnout of just 32.8% – less than one third of the electorate – the airport expansion was rejected by a narrow majority. In the end, the decision by fewer than 20% of eligible Munich citizens was enough to shelve one of Bavaria’s most important transportation projects for an indefinite period. That is because – although the Bavarian Municipalities Ordinance states that such plebiscites are binding only for a one-year period – Munich’s political leaders still consider themselves bound by the outcome. As recent years’ traffic figures demonstrate, the demand for mobility in Munich continues to increase. In 2016 42.3 million passengers used the Bavarian hub for air travel. That number represented a 3% increase over the previous year and a new all-time high for the airport. The number of take-offs and landings was actually up by 4% to a total of 394,430 – 14,500 more than in 2015. Furthermore, without the massive cancellations last year due to strikes, take-offs and landings would actually have risen by 4.6%. The airfreight segment posted the strongest growth, however, with more than 334,000 tonnes of freight handled at the airport, representing a 5% year-on-year increase. These dynamic growth rates have continued in 2017. Based on the current slot bookings from airlines, the airport is expecting a 4% increase in take-offs and landings again this year. However, the strong gains currently being experienced by the airport are also escalating the capacity crunch in the runway system. With the arrival of the carrier Transavia, which stationed four aircraft in Munich in the summer of 2016 to serve 18 European destinations, it was already clear that many of the slots requested by the newcomer were unavailable due to bottlenecks. These capacity shortages were likely a major contributing factor behind Transavia’s decision at the end of October to pull out of its Munich base. But, with demand continuing to surge, especially in the low-cost segment, the airport was soon fielding enquiries from other carriers. With the arrival of Lufthansa subsidiary Eurowings, Munich Airport will once again welcome a newcomer as this year’s summer timetable begins. Eurowings will serve around 30 destinations from Munich and has plans to expand its activities there in the future. However, in order for Eurowings and other airlines operating in Munich to have long-term growth prospects at the airport, airside infrastructure will have to expand in line with demand. The issue of whether the third runway is ultimately built will be decided by Munich Airport’s three shareholders. The largest of them is the Free State of Bavaria (51%), with the Federal Republic of Germany and the city of Munich holding 26 and 23% respectively. If the political decision for the urgently needed airport expansion is made before the end of 2017, the soonest the third runway could go into operation would be 2023. With a total of three runways, Munich Airport would then be capable of scheduling up to 120 aircraft movements per hour, compared with 90 at present. This would provide the Bavarian hub with sufficient capacity for many decades to come and make it well positioned to continue its success story. The long-standing dispute around Munich Airport’s third runway, like similar events in London and Vienna, is an expression of conflicting goals and societal contradictions typical of decision-making processes in infrastructure policy in 21st century Europe. The increasing demand for mobility on the part of the general public and businesses, on the one hand, stands in opposition to a steady decline in the willingness of individuals to back and support major transportation projects that inevitably cause inconvenience and sacrifice, on the other. Against this backdrop, it will be of vital importance for the aviation industry to take decisive action to minimise all negative consequences of such expansion projects in order to achieve greater public acceptance of them. In its recent ruling against a third runway at Vienna’s Schwechat Airport, the Federal Administrative Court in Austria mentioned, among other factors, that airports are under a special obligation to take action to reduce CO2 emissions, and cited in particular the extensive measures taken by Munich Airport. 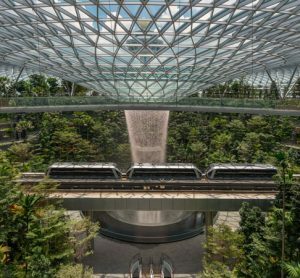 For operators of major transportation facilities, a firm commitment to ambitious climate protection targets, with the considerable expense they involve, is essential for being granted a ‘license to grow’ by society. Munich Airport’s corporate strategy has long anticipated this need and has translated it into action, for example through determined efforts to reduce climate gases in its own areas of responsibility. 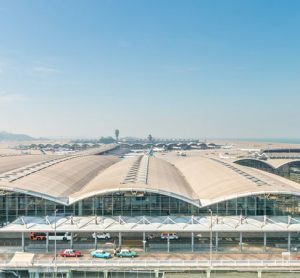 Last December Munich Airport’s supervisory committees gave the green light to a new climate strategy that goes much further. Bavaria’s gateway to the world plans to become Germany’s first airport to achieve carbon-neutral operations. 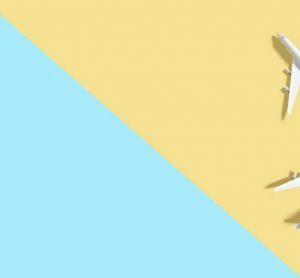 The strategy calls for a 60% reduction in CO2 emissions directly attributable to airport operations by 2030. The remaining 40% will be addressed through carbon offsets. These are to be generated whenever possible through certified projects at the regional level. The costs of this climate protection programme between now and 2030 will total €150 million. 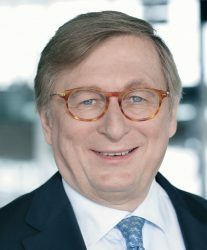 DR MICHAEL KERKLOH has been President and CEO of Flughafen München GmbH, Munich Airport’s operating company, since September 2002. He was also appointed president of the German Airports Association (ADV) in 2013. Michael’s aviation career began in 1987 when he joined Frankfurt Airport. In 1995 Michael was appointed to the management team of Hamburg Airport, and simultaneously served as Chairman of the Supervisory Board of Aviation Handling Services. As well as ADV, Michael is a member of the governing bodies of numerous industry organisations including the Airport Council International, the German Aviation Industry Association (BDL), and the Transportation Committee of the Chamber of Industry and Commerce for Munich and Upper Bavaria. He is also a member of the advisory councils of the German National Tourist Board and the Export Club Bayern e.V.